The summer is upon us, and for many of us out there with our off days to spare, we would have made plans to spend some time under the sun for quite some months already. Being able to do nothing else but relax by the beach, sipping on our favorite beverage with a good book in hand. Well, being sunny also means one thing – things do get hot, and depending on how close you are to the equator, it can get really, really hot! Having a fan might make plenty of sense, but why get any normal fan when you can settle for the $89.99 Dual Oscillating Fan? 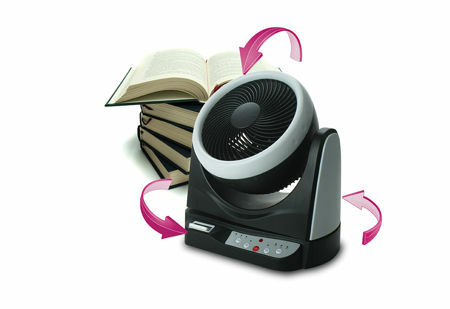 With the Dual Oscillating Fan, you will be able to enjoy maximum airflow coverage. This is one powerful fan that oscillates up/down and right/left, where it works independently or simultaneously in order to produce a wide area vortex airflow. Apart from that, you will be able to tilt it left or right as well as freeze the angle for precise targeted airflow. With a trio of fan speeds as well as a four-hour timer, the Dual Oscillating Fan will be accompanied by a remote control with battery. It will be powered by an AC outlet.